We can convert int to long in java using assignment operator. There is nothing to do extra because lower type can be converted to higher type implicitly. It is also known as implicit type casting or type promotion. 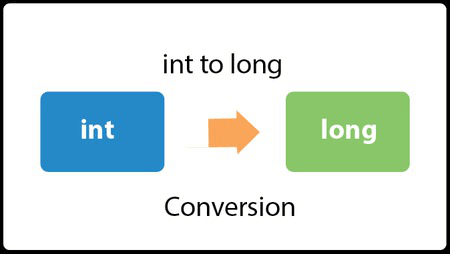 Let's see the simple code to convert int to long in java. We can convert int value to Long object by instantiating Long class or calling Long.valueOf() method.